No other used auto parts team comes close to having the experience and dedication of Betsy Finnell and Mike Vande Voort. 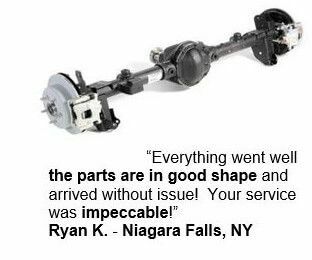 When it comes to finding and buying your used car parts online, there's no doubt that you can trust the PartsHotlines team. We've been in the auto parts industry for most of our lives. 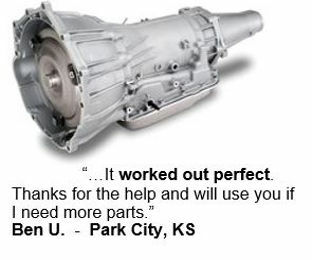 We, along with our entire Parts Experts team, genuinely care about helping you find the best part at the best price. Betsy Finnell is the daughter of Betty Finnell and Jim (Chick) Finnell. Chick and Betty owned and operated A & A Auto Parts, an auto salvage yard in Topeka Kansas, for over 30 years. In 1960, Betty and Chick formed and ran Master Wreckers, one of the first used auto parts locating networks in the country. Betty Finnell was active in establishing the Kansas Auto Wreckers Association (KAW), a trade group of auto salvage yards established to protect the interests of auto salvage businesses. Betty served as KAW President for many years. Betty lobbied on a local and national basis for the interests of the auto salvage industry. She was appointed to President Lyndon Johnson's National Beautification Committee and met with President and Mrs. Johnson on several occasions regarding the efforts of the auto salvage industry to comply with various zoning regulations. In 1974, Betty Finnell worked with AT&T to create the first Voice and Data used auto parts locating network. In 1981 Betsy joined Betty in running the regional auto parts locating network. In 1984 Betsy created DataNet which, along with the competing MII Network, was the first nationwide used auto parts locating network for salvage yards. In 1985 Betty and Betsy formed Finnell Systems. Finnell Systems manufactured and supplied proprietary telecommunication equipment for used auto parts locating networks. In 1986 Finnell Corporation was sold to AutoInfo, Inc., a publicly held company based in Lake Success, NY. AutoInfo was one of two leading providers of inventory management systems in the auto salvage industry. Betsy remained on under contract with AutoInfo as Group Vice President, Sales & Marketing from 1986 through 1995, when AutoInfo divested its Automotive Recycling Division to ADP Hollander. Betsy accepted a contract from ADP Hollander as Director, New Business Development Auto Recycling Division. She remained with ADP Hollander through 1998 when ADP sold the division to CCI/Triad, a Texas based company which offered services to body shops and garages. Betsy remained with CCI/Triad from 1998 through early 2003. In early 2003 Betsy joined Mike Vande Voort as co-owner of Hotlines, Inc. In 1984 with Jim Taphorn, Mike formed MII, a privately held company started to supply used car parts locating networks for the auto salvage industry. The MII Network, along with competing DataNet Network, was the first used auto parts locating network for salvage yards. In 1985 Mike formed Vvoortech, Inc., a privately held corporation offering communication systems. In 1988, AutoInfo acquired the MII Network (now re-named the Orion Network). AutoInfo was one of two leading providers of inventory management systems in the auto salvage industry. The Orion Network was merged with the DataNet Network and the resulting circuit was marketed under the name of Orion. Mike remained on under contract with AutoInfo as Group Vice President, Operations from 1988 through 1993. 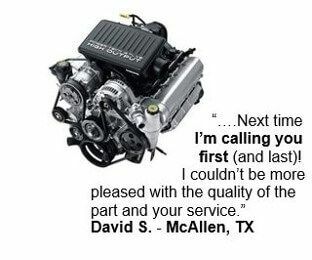 In 1995 Mike formed Hotlines, Inc., which through the Hotlines Networks, provides auto salvage yards with immediate, REAL-TIME, LIVE searches for used auto parts. In early 2003 Mike brought on Betsy Finnell as co-owner of Hotlines, Inc.